This event will take place at the Coolidge Corner Public Library. 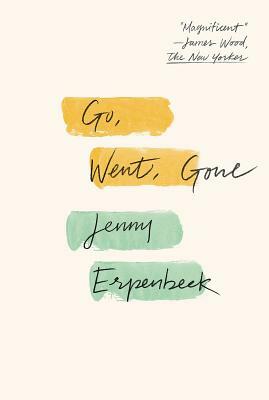 Go, Went, Gone tells the tale of Richard, a retired classics professor who lives in Berlin. His wife has died, and he lives a routine existence until one day he spies some African refugees staging a hunger strike in Alexanderplatz. Curiosity turns into compassion and an inner transformation as he visits their shelter, interviews them, and becomes embroiled in their harrowing fates.